In this Splunk tutorial you will learn Splunk fundamentals, so you can clear the Splunk certification. Through this tutorial you will get an idea of Splunk search, analytics, data enriching, monitoring, alerting, transformation commands, report and dashboard creation, creating lookups and more. 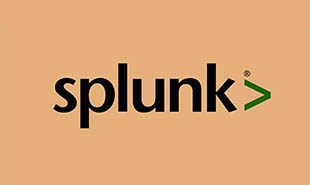 Learn Splunk from Intellipaat Splunk course and excel in your career. In this Splunk tutorial you will learn Splunk from the basics to get a clear idea of why Splunk is the go-to tool when it comes to machine-generated data. Splunk is a powerful engine which is extensively used for searching, investigating, monitoring, troubleshooting, alerting and reporting on machine generated data which is such a big part of today’s data-driven world. Splunk can be called as the Google for machine generated data. This Splunk tutorial is meant as the first step for anybody who wants to learn Splunk and excel in their careers. Software developers, system administrators, database experts, search analysts can benefit from this Splunk tutorial. There are no prerequisites for learning from this Splunk tutorial. If you have a knowledge of Data Analytics concepts, then it is good. First let us compare Splunk with ELK (Elastic, Logstash, Kibana) stack which also does a similar kind of job. Splunk is used for extracting value out of machine generated data. It can be thought of as a data mining tool for big data applications. Splunk can effectively handle big data with no decrease in performance. The best part of Splunk is that it does not need any database to store its data as it extensively makes use of its indexes to store the data. Splunk is an absolutely fast engine and provides lightning fast results. You can troubleshoot any issue by resolving it with instant results and do an effective root cause analysis. Splunk can be used as a monitoring, reporting, analyzing, security information and event management tool among other things. Splunk takes the valuable machine generated data and converts it into powerful operational intelligence by delivering insights through reports, charts and alerts. Why is Splunk so widely used? Splunk is by far the most widely used engine for working with machine-generated data. Today machine data is being generated at breakneck speeds. Most people don’t realize but some of the biggest organizations in the world are parsing huge volumes of machine data just to stay ahead of the competition. So Splunk is their natural choice to convert machine data into operational intelligence. Splunk efficiently captures, indexes and correlates data from a searchable repository all in real-time and generates insightful graphs, reports, dashboards and alerts. Since machine generated data will be the next frontier of big data, a huge of number of companies are investing heavily into making sense out of it and converting it into business advantage. Splunk’s mission is to make all the machine data easily accessible by identifying the patterns, analyzing the metrics, diagnosing the problems and providing actionable insights. Splunk is also extensively used for security and compliance applications. Here in this section of the Splunk tutorial we will discuss some of the top features of Splunk. Splunk even lets you incorporate Artificial Intelligence into your data strategy. We will discuss about some of the applications of Splunk to give you a brief idea about the vast possibilities of Splunk. Advising cyber security personnel on the best course of action for securing IT systems. Why should you learn Splunk? In this section of the Splunk tutorial you will find out why you need to learn Splunk. As we discussed before, Splunk is the Google for machine data and going forward this machine data will be a major chunk of the big data that is being generated at breakneck speeds. So if you learn Splunk then you have a very bright future thanks to increased deployed of Splunk in mission-critical applications cutting across industry verticals. Today regardless of the industry vertical, Splunk is being implemented for indexing data, facilitating search and investigation, mapping knowledge to search, scheduling alerts and creating extensive reports and visualizations to aid business growth. 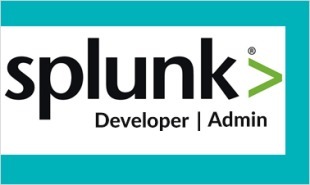 "4 Responses on Splunk Tutorial – Learn Splunk from Experts"
Good Tutorial…. This course is helping me a lot to get along with Splunk. Nice Tutorial for self-learning. Thank you very much for providing such a valuable information here. 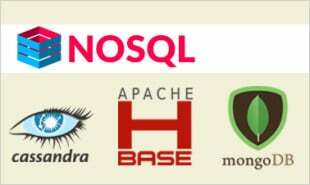 Awesome tutorial on Apache Splunk. Very neatly organized and very helpful for newbies. Sign Up or Login to view the Free Splunk Tutorial – Learn Splunk from Experts.